The visit takes place in a year when Belarus and India are celebrating the 25th anniversary of the establishment of diplomatic relations. 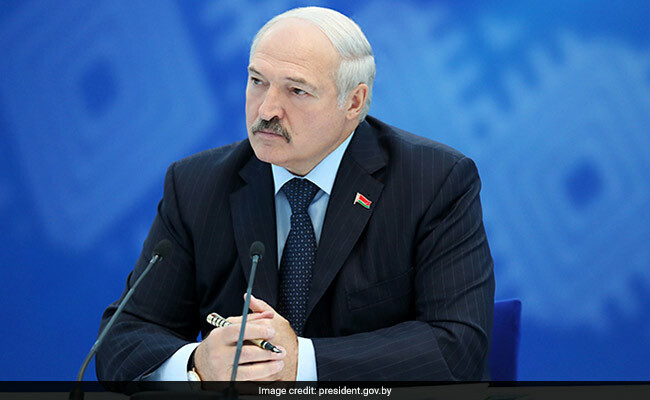 New Delhi: India and Belarus are expected to ramp up their bilateral cooperation, including in defence and security, as the eastern European country's President Alexander Lukashenko is on a two-day visit to New Delhi. During the visit, Lukashenko is scheduled to meet President Ram Nath Kovind, Vice President M. Venkaiah Naidu, Prime Minister Narendra Modi and External Affairs Minister Sushma Swaraj on Tuesday. An External Affairs Ministry statement said the two sides were expected to discuss bilateral cooperation in defence and security, trade and investment, science and technology and people-to-people exchanges. Briefing the media here ahead of the visit, Joint Secretary (Eurasia) G.V. Srinivas, in the Ministry of External Affairs, said that the visit of President Lukashenko, who last visited in 2007, is long overdue. PM Modi and President Lukashenko met for the first time on the margins of the Shanghai Cooperation Organisation Summit in Tashkent last year. Mr Srinivas said that President Lukashenko will be accompanied by a large delegation including business leaders. He said that a business forum between India and Belarus was also held here on Monday ahead of the presidential visit. According to the External Affairs Ministry statement, both sides are also likely to exchange views and assessments on regional and multilateral issues of mutual interest. "A business forum and parallel meetings organised for the members of the large delegation accompanying Lukashenko would explore opportunities and cooperation avenues," the statement said.